Simple Lovely: To Gallery Wall or Not To Gallery Wall? To Gallery Wall or Not To Gallery Wall? 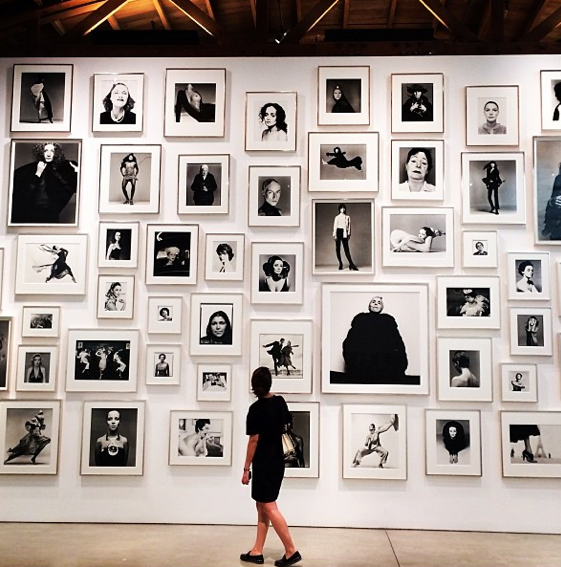 I'm a gallery wall girl. I like them; I utilize them -- in my house, in other people's houses -- and, yet, I'm possibly...maybe...perhaps... experiencing a bit of gallery wall fatigue of late. Gallery wall ennui if you will. So my spirits were bolstered when, while tooling around on the interwebs (of course I was), I came across the above image on The Sartoralist's instagram from the Gagosian Gallery's Avedon exhibit. It is a major gallery wall, all salon style goodness, a seemingly overplayed trend executed to perfection, making the whole enterprise feel totally fresh all over again. That, friends, is how it's done.